Bold palmate light green foliage. 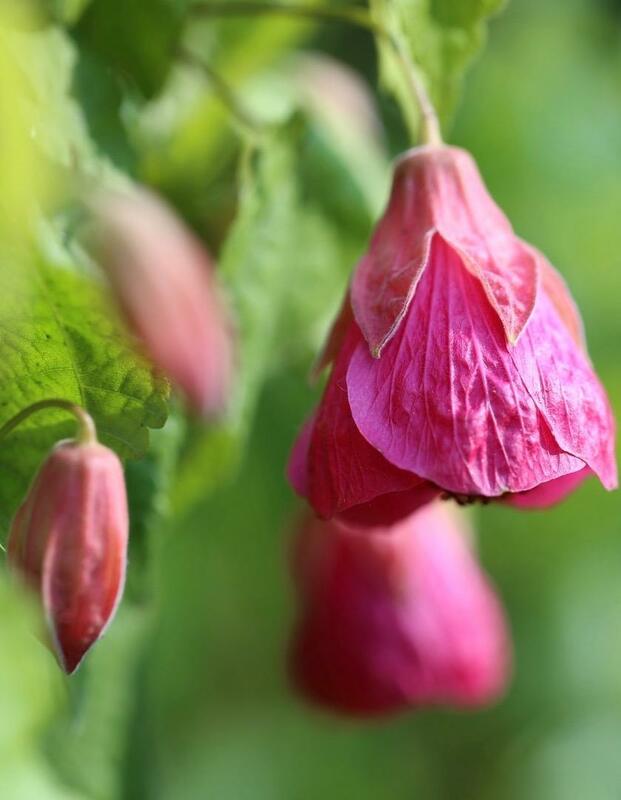 Endless pendant wide funnel shaped flowers, rich salmon pink, May to September. Sun and good drainage. Good in containers. 2m tall. Neutral to acid soil. Protect from hard frosts.